W. MacCarthy & Sons is a 5th Generation family run business established in 1880 and has been manufacturing cardboard packaging for 135 years. William MacCarthy learnt the box trade working with his wife's family business and then started out on his own from his kitchen at his house in Camberwell. Little did he know the company would still be thriving 4 family generations after him. Currently there are two generations of MacCarthy's working at the company whether that be in the office, factory or in the delivery van! Many other staff members have over 20 years of experience working for this family run business so our dedication, knowlege and skill will enable us to give you the best advice possible. In 2015 we added up the combined experience of our 16 staff and it was 280 years!! 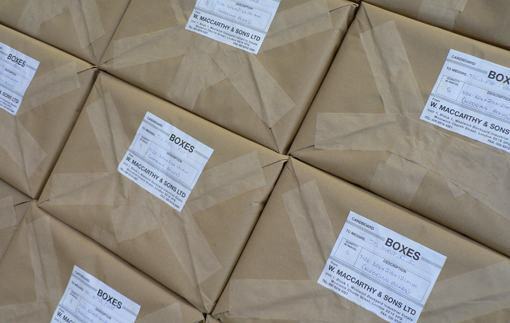 If you would like to find out more about Liam MacCarthy and our family history in packaging please look on our blog here. 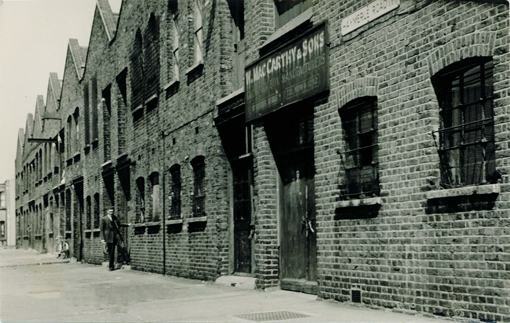 Our factory in Haymerle Road, Peckham in 1952 Some customers prefer their boxes wrapped in parcels! 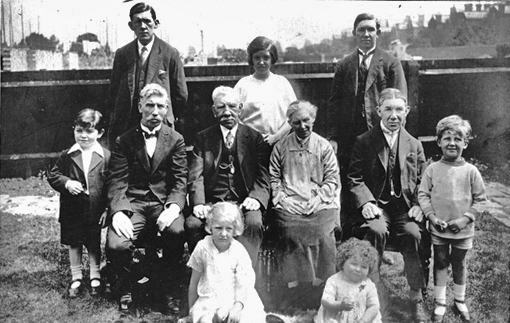 3 Generations of MacCarthy boxmakers in one photo!